A pet cat called Cupcake spent over a week in the post, after apparently falling asleep in a box. Owner Julie Baggott did not spot the animal when she packed up a box of DVDs and sent it off to a customer. Eight days later, the female cat arrived in Worthing, West Sussex, after somehow surviving the 260-mile journey from Falmouth in Cornwall. The customer was understandably “somewhat startled”, vets said, when the box of DVDs was opened and Cupcake jumped out. After being contacted, the RSPCA collected the cat and took it to Grove Lodge veterinary hospital in Worthing. Dr Ben Colwell, a vet at Grove Lodge who treated Cupcake, said: “She was quite dehydrated and obviously really quite scared, quite nervous. “She’s done really, really well, she’s responded to fluids really well. Luckily she was microchipped.” After scanning the cat and discovering the microchip, they found Ms Baggott’s details and got in touch. Ms Baggott had been distraught at the loss of her cat. She and her family had put up posters and searched around Falmouth for days. “When I realised she was missing, two weeks ago, it was the most horrible, scary feeling,” she said. “We looked everywhere for her. I feel terrible about what’s happened, you know. I mean, I put everything in the box and I sealed it straight away, so I don’t know how she managed to get in there. 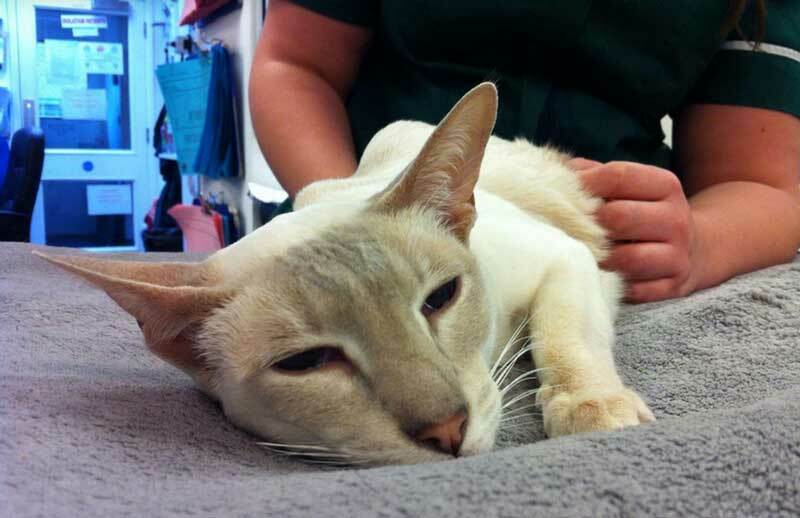 It was a miracle she was alive, she’s managed to survive that awful ordeal.” Cupcake required several days of treatment for dehydration but has made a full recovery since being collected byMs Baggott and taken back to Cornwall. There's a news video here or here. 1) How can someone package up a box of DVD's without noticing a cat was sitting in the box (it'd also make the box a little heavier). 2) What delivery service did she use that it took 8 days to get from Worthing to Falmouth?!? Yes, I agree with Anonymous (except for the use of the name Anonymous, grow a pair) the person should be subjected to an insanity test, if there is such a thing. The cat weighs around 4 kilos, I reckon, how the heck would someone not realise the difference, DVDs are quite light. It was good that the cat was microchipped, but when it jumped out of the box, I would have contacted the sender immediately.